A stock market screener will search a defined database to identify common stocks that meet your criteria. This screening process takes seconds but saves you hours of time. This page will help you find an internet based stock screener that matches your interests. I have trialed a number of websites that screen for stocks using either technical analysis or fundamental data. All of these sites offer at least some level of free online stock screening service but also offer you the option of paying a fee to obtain a higher level of service. If you are tired of searching by hand for stocks breaking out to new highs or stocks starting to rebound, then a stock market screener is likely what you need. StockCharts offers a free technical screener which looks at a number of basic technical indicators such as new highs, moving average crossovers, large volume changes, candlestick patterns and point and figure patterns. This service searches for stocks on both the US and Canadian markets. To speed up viewing the results, I like to open two windows at a time and scroll through the list of stocks meeting the desired criteria. You can make your own scans by becoming a member. 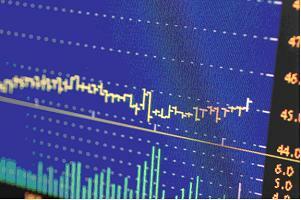 Bigcharts offers a basic method to screen for stocks using technical analysis. Members can get access to a more advanced screening system. One of the more advanced stock market screeners using technical analysis is StockFetcher. This site allows you to search for virtually any type of technical event you can think of. All you have to do is input the criteria for your search. The StockFetcher manual explains how to write the filters required to do the searches. Non-paying members can screen stocks for free using many of the different technical indicators found on their home page. While the data given is two weeks old, you can search stocks to try various ideas and see if your ideas work. For a small fee, you can obtain end of day data searching. Read more about StockFetcher and find out why it is my preferred method to screen for stocks. Stockscores is another website that offers tiered-based stock searches. While you have to sign in, you can obtain free stock market searches using the Stockscores approach. More advanced searches require a membership. 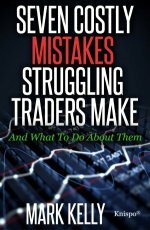 You can also sign up for a free weekly newsletter which will teach you the Stockscores approach as well as give you a number of trading ideas. MSN offers a number of ways to screen for stocks using technical analysis and fundamental data. You can also download the MSN deluxe stock screener which offers essentially fundamental analysis. For the deluxe screener you can enter the values you are looking for and narrow your search down to a few well chosen stocks. Yahoo Stock Screener offers a basic free screening service. Morningstar screens stocks using fundamental data which utilizes a number of Morningstar criteria. Another free stock screening site is run by the NASDAQ Stock Exchange. This is the NASDAQ guru stock screener which features searches that find stocks meeting the criteria of a number of well known investors. Here you will find screens featuring the efforts of Peter Lynch, Benjamin Graham, Martin Zweig as well as a number of other well known authors and investors. The above websites are a few of the many websites that allow you to screen the stock market for stocks available on the Internet. To find out about another common stock market screener, you may want to read the web site review sections in the magazines which this site recommends.